Implement the best SFTP, FTPS, SCP, or HTTPS server for your Windows or Linux environment with GoAnywhere MFT. It’s easy to start protecting your file transfers with secure FTP server software for Windows, Linux, and more. 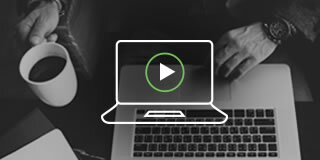 Just complete the form, install GoAnywhere MFT, and activate your trial license key for 30 days of industry-leading secure FTP server support. Why Use Secure FTP Server Software? When implemented within a managed file transfer solution, secure FTP server software can help organizations automate, encrypt, and authenticate their file transfers. Sensitive data, like patient health information or credit card details, can be safely exchanged with trading partners, employees, customers, and enterprise servers using secure FTP protocols. Secure file transfer protocols like FTPS, SFTP, HTTPS, and SCP provide organizations with strong encryption and authentication methods for their file transfers. These industry protocols create encrypted tunnels between client and server systems that block unwanted cyberthreats and vulnerabilities from compromising data in motion. 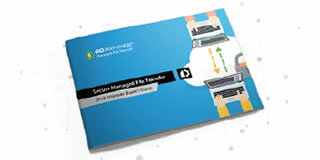 The SFTP, FTPS, HTTPS, and SCP servers offered by managed file transfer solutions like GoAnywhere MFT can be run on multiple platforms, including Windows and Linux. 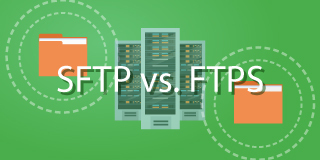 Which is Better: SFTP vs. FTPS?